On 14 September 1869, the centennial of the birth of German scientist Alexander von Humboldt was celebrated across the world. Thousands of people came together in Europe, Africa, Australia and in the Americas. There were parties in Buenos Aires and Mexico City, as well as in Melbourne and Adelaide. In Moscow Humboldt was hailed as the ‘Shakespeare of sciences’ and in Alexandria in Egypt fireworks illuminated the sky. In Berlin 80,000 people trudged through torrential rain to celebrate the most famous resident of their city. Some of the greatest festivities were organized in the United States – from San Francisco to Philadelphia, from Chicago to Charleston. In New York 25,000 people marched along Manhattan’s cobbled streets which were lined with flags and colourful bunting. The crowds assembled in Central Park to unveil a Humboldt bust which still stands today opposite the Natural History Museum at the Naturalists’ Gate on Central Park West and 77th Street. Humboldt’s fame, the Daily News in London reported, was ‘in some sort bound up with the universe itself ’. Almost forgotten today – at least in the English-speaking world – Humboldt was described by his contemporaries as the most famous man in the world after Napoleon. His name still lingers everywhere from the Humboldt Current, which runs along the west coast of South America, to the Humboldt penguin and a fierce six-foot giant squid. There are towns, rivers, and mountains across the globe that carry his name. There is the Mare Humboldtianum on the moon, the Humboldt Glacier in Greenland and mountain ranges in New Zealand, South Africa and China. Even the state of Nevada was almost called Humboldt when its name was debated in the 1860s. More places, plants and animals are named after Humboldt than anyone else. Ralph Waldo Emerson called him ‘one of those wonders of the world’ and Thomas Jefferson described him as ‘one of the greatest ornaments of the age’. Johann Wolfgang von Goethe, Germany’s greatest poet, declared that spending a few days with Humboldt was like ‘having lived several years’, and Charles Darwin believed that the German explorer was ‘one of the greatest men the world has ever produced’. Humboldt inspired scientists, poets, artists, politicians and revolutionaries. Simon Bolıvar, the man who liberated the Spanish colonies, admired him, and the American painter Frederic Edwin Church followed Humboldt’s footsteps through South America. Walt Whitman wrote his celebrated poetry collection Leaves of Grass with a copy of one of Humboldt’s books on his desk and the Romantic poet Robert Southey said that he was ‘among travellers what Wordsworth is among poets’. So, who was this man? Alexander von Humboldt was a visionary scientist and explorer who changed the way we understand nature. Born 1769 into a wealthy Prussian aristocratic family, he was daringly adventurous and his five-year voyage of exploration to Latin America (1799 – 1804) shaped his life and made him legendary across the world. He and his older brother Wilhelm were brought up on the family estate at Tegel, just outside Berlin. It was an unhappy childhood, Alexander von Humboldt later said. Their beloved father died when they were young and their emotionally cold mother never showed much affection – but she did provide the best education then available in Prussia. The boys were tutored by several Enlightenment thinkers who instilled in them a love of truth, liberty and knowledge. But Alexander escaped the classroom whenever he could to ramble through the countryside, collecting and sketching plants, animals and rocks. When he returned with his pockets full of insects and plants his family nicknamed him ‘the little apothecary’. He dreamed of adventures in faraway countries and felt stifled at ‘Castle Boredom’, as he called Tegel, but Marie Elisabeth von Humboldt made it clear that she expected her sons to become civil servants in the Prussian administration. In 1791, after completing his studies in economy, mathematics, languages and finance, Alexander von Humboldt enrolled at the prestigious mining academy in Freiberg, a small town near Dresden. It was a compromise that would prepare him for a career in the Prussian Ministry of Mines – to appease his mother – but it allowed him to indulge his interest in science and geology. He was curious and restless – impelled by a ‘perpetual drive’, he wrote, as if chased by ‘10,000 pigs’ – but deeply unhappy. He travelled across Europe, climbed the Alps, experimented with so-called ‘animal electricity’, investigated mines, examined plants and spent many weeks in Jena with Goethe. The time with Goethe, Humboldt later recalled, ‘affected me powerfully’ – it changed him from being a scientist who based his research on purely empirical and rational methods to one who believed that imagination and emotional responses were as important, and equipped him with ‘new organs’ through which to see and understand the natural world. In 1796, Marie Elisabeth von Humboldt died but neither Alexander, nor his brother Wilhelm went to her funeral. Four weeks later, Alexander was talking about his ‘great voyage’. He was rich, independent, and couldn’t wait to travel the world. It took a while to organize the expedition but in June 1799 Humboldt and his travel companion the French botanist, Aime Bonpland, left Europe with the permission of the Spanish king to explore the Spanish colonies in South America. For five years they travelled through what is today Venezuela, Cuba, Colombia, Ecuador, Peru and Mexico – with a brief stopover in the United States to meet Thomas Jefferson on their return to Europe. During those five years Humboldt paddled deep into the rainforest where few white men had ever gone and climbed the highest volcanoes in the Andes. He risked his life many times – when he experimented with electric eels in the great plains of Venezuela or when he clung to narrow ledges inside craters to collect sulfuric air samples. He drank the deadly curare poison at the Orinoco, swam next to crocodiles and boas, and was almost killed by a jaguar. He scoured the archives in Mexico City and Havana, climbed majestic Chimborazo which was then believed to be the highest mountain in the world, and measured the cold ocean current which would later carry his name. 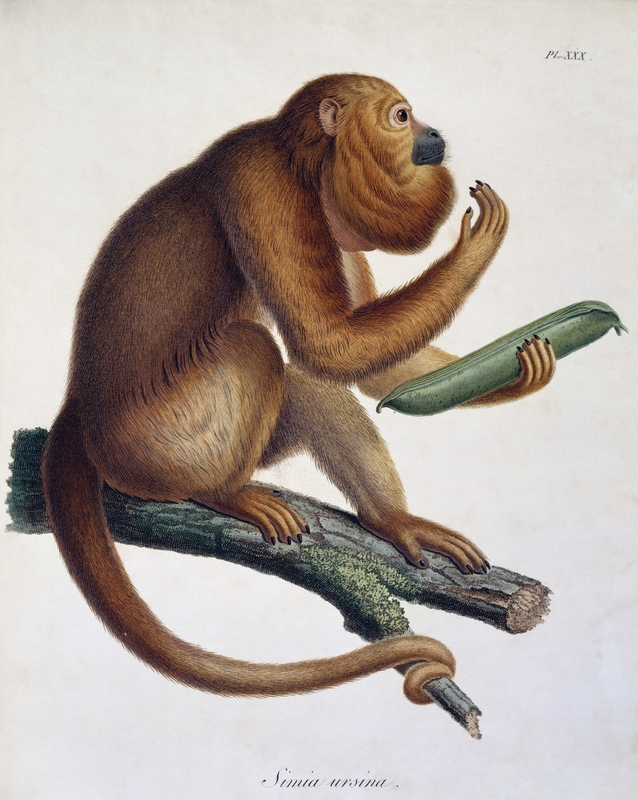 He collected indigenous languages, sketched Inca ruins, copied Aztec manuscripts and discovered the Brazil nut. He (and Bonpland) collected 60,000 plant specimens, and Humboldt drew the most accurate maps of South America ever made, filled 4,000 diary pages, produced hundreds of sketches and drawings, and conducted tens of thousands of astronomical, geological and meteorological observations. Charles Darwin called him the ‘greatest scientific traveller who ever lived’. Humboldt knew that travelling provided the knowledge that was needed to understand the world. Scientists had to look at flora, fauna, rock strata and climate globally, he insisted. Failure to do so would make them like those geologists who constructed the entire world ‘according to the shape of the nearest hills surrounding them’. As Humboldt explored the world, he collected the data and impressions that made him realize that humankind was destroying the environment. Humboldt noted how mining exploited the land and the indigenous people; how huge swathes of forests had been destroyed to make way for plantations; how irrigation desiccated the soil and how ruthless pearl fishing had depleted the oyster stocks at the Venezuelan coast. Humboldt already predicted harmful human-induced climate change in 1800 – because he compared and connected what he saw. He warned of the devastating consequences of monoculture, deforestation and irrigation. He was a prescient environmentalist who talked of ‘mankind’s mischief … which disturbs nature’s order’. His diary entry in November 1801 revealed that he worried about a future in which humankind might expand into space. If that happened, he wrote, we would take our lethal mix of vice and greed which already had left earth ‘barren’ and ‘ravaged’, and spread it across other planets. After his expedition Humboldt moved to Paris where he lived for more than twenty years. He became the centre of scientific enquiry – he experimented, gave lectures, rushed to scientific meetings and published many of his books. He was so famous that cab drivers didn’t need an address, just the information ‘chez Monsieur de Humboldt’, to know where to take visitors. But in 1827 he reluctantly moved to Berlin, a city he hated. Having spent his fortune on his expedition as well as on hundreds of lavish engravings and maps that illustrated his many publications, Humboldt was desperately short of money. The Prussian king, Friedrich Wilhelm III, had paid him an annual stipend for more than two decades and insisted on his return. The king had run out of patience and wrote to Humboldt that ‘you must already have completed the publication of the works, which you believed could only be accomplished satisfactorily in Paris’. Humboldt, by now ‘poor as a church mouse’, as he admitted, didn’t have much of a choice. He still managed to have some fun, though. Two years later, in 1829, he went on another expedition – this time to Russia, with all expenses paid by the Russian tsar. At the age of sixty, Humboldt travelled 10,000 miles in six months – crossing the border into China and Mongolia as well as racing through anthrax-infested steppes in Siberia. He was as restless as he had been as a young man. For the remaining thirty years of his life, Humboldt was based in Berlin and employed as the king’s chamberlain. It was the beginning of what Humboldt called his ‘swinging of a pendulum’ – a life in which he chased the king’s movements from one castle to the next summer residence and back to Berlin, always on the road and always loaded with manuscripts and boxes full of notes. The only time he had for himself and to write his books was between midnight and three o’clock in the morning. Humboldt died on 6 May 1859,just a few months before his ninetieth birthday. As the news of his death travelled across the world, people everywhere mourned ‘the great, good and venerated Humboldt’, as the United States ambassador to Prussia said. Eulogies were given from Berlin to Mexico City. He had been, the Prussian king had once said, simply ‘the greatest man since the Deluge’. Since I published my book The Invention of Nature in 2015, my readers have asked me often which of Humboldt’s books I would recommend. There is no quick answer to this question. Humboldt was such a prolific writer that not even he himself knew exactly what was published when and in which language. It doesn’t help that some of his books were published in different formats and editions, or as part of a series, but then also separately as single volumes. The chance to bring some of his writing together in one volume has been a wonderful experience. It has been a privilege to make this selection, brought together in the book Selected Writings by Alexander von Humboldt – though I have to admit that it hasn’t been easy. There is so much that couldn’t be included here but I tried to choose sections and passages that illustrate the breadth of Humboldt’s interests, while at the same time focusing on the books which he wrote for the general reader rather than scientific colleagues. This new nature writing was so seductive, Goethe told Humboldt, ‘that I plunged with you into the wildest regions’. Henry David Thoreau devoured Humboldt’s books and found an answer to his dilemma on how to be a poet and a naturalist. Walden would have been a very different book without Humboldt. John Muir, father of the national parks in the United States, read Humboldt’s books with a pencil in hand – underlining and writing as he went along, inspired by Humboldt’s revolutionary ideas about the role of forests in the ecosystem. The French writer Francois-Rene de Chateaubriand thought Humboldt’s writing was so extraordinary that ‘you believe you are surfing the waves with him, losing yourself with him in the depths of the woods’, and Jules Verne mined Humboldt’s descriptions of South America for his Voyages Extraordinaires series. Even Captain Nemo in his famous Twenty Thousand Leagues Under the Sea owned the complete works of Humboldt. Originally published in seven volumes, Personal Narrative is part travel account, part scientific treatise, following Humboldt and Bonpland’s expedition through Latin America chronologically from their departure in June 1799. Humboldt never completed Personal Narrative. The last volume ends with their arrival at the Rıo Magdalena in today’s Colombia on 20 April 1801 – not even halfway through the expedition. First published in French (1814-31), it was almost immediately translated into English by Helen Maria Williams, a poet and writer who lived in Paris and who worked closely with Humboldt. It was a book that changed Charles Darwin’s life. ‘My admiration of his famous personal narrative (part of which I almost know by heart),’ Darwin later wrote, ‘determined me to travel in distant countries, and led me to volunteer as naturalist in her Majesty’s ship Beagle.’ British Romantic poets William Wordsworth, Robert Southey and Samuel Taylor Coleridge read it too. Southey was so impressed that he visited Humboldt in Paris, declaring that Humboldt united his vast knowledge with ‘a painters eye and a poets feeling’. Wordsworth copied a passage from Personal Narrative in which Humboldt described the myths of the ‘great waters’ at the Orinoco almost verbatim in his sonnets on the River Duddon. Personal Narrative was a huge success at the time. Published in 1807 in French and German, this was the first volume that Humboldt published after his expedition to Latin America. It was sold with a large three-foot-by-two-foot handcoloured fold-out, his so-called ‘Naturgemalde’ – an engraving that illustrates Humboldt’s ability to make connections. It also shows that he was one of the founders of what we call infographics today. 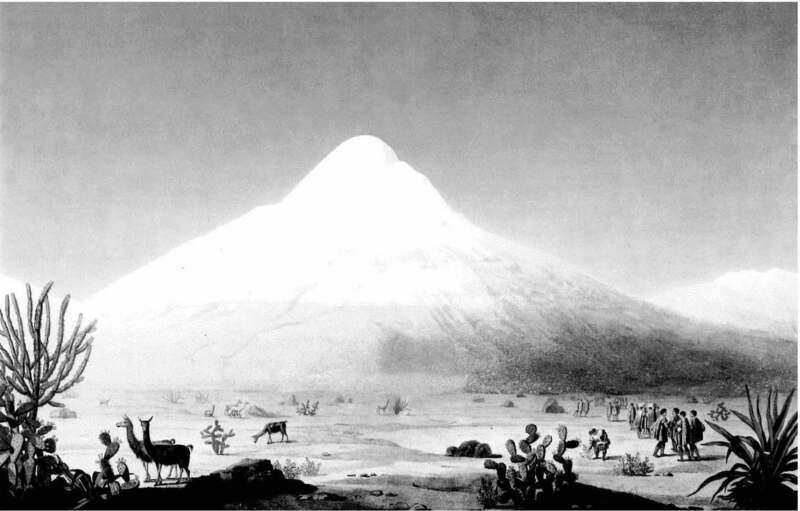 The Naturgemalde shows Chimborazo, a mountain that was elemental for Humboldt’s vision of nature, in cross-section. Written onto the mountain are the names of the plants according to the altitude where Humboldt had found them. To the left and right of the mountain are columns with comparative data about gravity, temperature, chemical composition of the air and the boiling point of water amongst other things – also all arranged according to altitude. The Naturgemalde is packed with complex scientific data but easily understandably because Humboldt presented them visually. He used this new graphic approach so that he could appeal to his readers’ imagination, he told a friend, because ‘the world likes to see’. The Essay on the Geography of Plants is almost like one long caption of the Naturgemalde. The introduction explains Humboldt’s new ideas about plant distribution and nature as a web of life. Instead of classification, Humboldt revealed relationships between plants, climate and geography. He explained the idea of vegetation zones – ‘long bands’ as he called them – that were slung across the globe. In Essay on the Geography of Plants, Humboldt painted a picture of global patterns but also looked at history, economy and geology. Of all of the books that Humboldt published, Views of Nature was his favourite. It was a new literary genre in which he combined evocative writing and rich landscape descriptions with scientific observation in a blueprint for much of nature writing today. Humboldt took his readers into rainforests teeming with life, up snowy mountains, above stupendous waterfalls and across enormous deserts. Published first as Ansichten der Natur in Germany in 1808, it was eventually available in eleven languages. An extended edition in 1849 was the first to be published in English (in two competing translations under two titles, Aspects of Nature and Views of Nature) and became a bestseller at the time. These translations have not aged well because the elegance and liveliness of the original prose was gagged and tamed into stodgy Victorian fare. In 2014, Chicago University Press published a new translation which makes for much better reading. Released of its Victorian corset, Humboldt’s words are once again singing off the page. Sanitized expressions from the 1849 edition such as a ‘glowing surface’ are finally allowed to become Humboldt’s ‘glowing womb of the earth’; or a convoluted phrase such as ‘carbonized turvy covering’ is translated into the much more palatable ‘charred grass’. This was Humboldt’s most lavish and opulent publication – two volumes which contained sixty-nine engravings depicting landscapes, art, buildings and manuscripts related to his expedition. First published in Paris as Vues des Cordilleres et monumens des peuples indigenes de l’Amerique in seven instalments between 1810 and 1813, an English translation became available in 1814. The English edition was a less monumental two-volume octavo edition which included all the text but only twenty engravings. The French large folio edition is so big that one can hardly lift the volumes. The engravings (twenty-three are in colour) range from volcanoes such as Chimborazo and Cotopaxi to Inca ruins in Peru, the famous Mexican Sun Stone which is today in the National Museum of Anthropology in Mexico City and Aztec manuscripts. Each illustration is accompanied by an explanatory text that varies in length from a few sentences to dozens of pages. Views of the Cordilleras shows that Humboldt wasn’t just fascinated by nature. He was interested in everything – he recorded the languages of the indigenous people, he copied Aztec manuscripts and he sketched Inca monuments. Unlike most Europeans, he did not regard these people as barbaric savages. 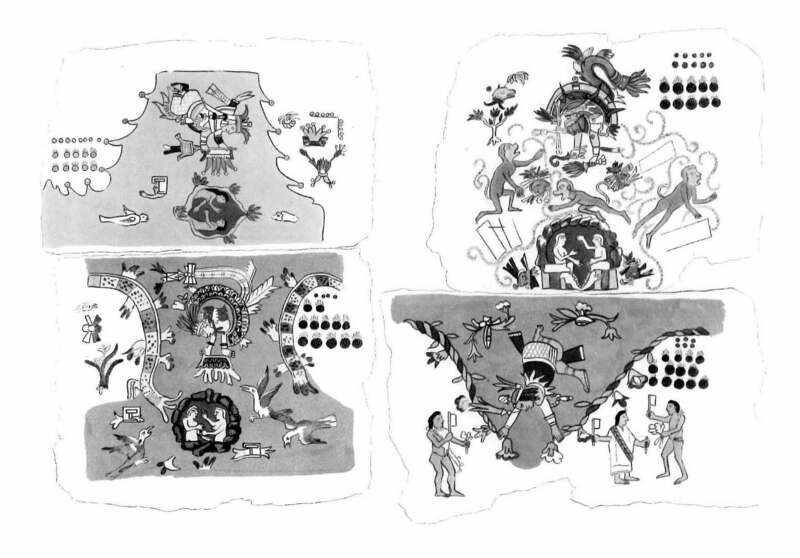 When he arrived back home in 1804, Humboldt didn’t only bring with him a new concept of nature but he also showed Europeans that the ancient civilizations of Latin America were sophisticated cultures with rich languages, architecture and art. First published in French in 1826 as part of the Personal Narrative, Humboldt’s book Political Essay on the Island of Cuba is not exactly a thrilling read. It’s a dense and data-based book in which he brought together his observations on geography, plants, conflicts of race, Spanish exploits, and the environmental consequences of colonialism. He provided information about revenues and military defence, about roads and ports, about demographics as well as economic data on trade and agriculture. But Political Essay on the Island of Cuba is an important publication because it also includes Humboldt’s outspoken criticism of slavery. Though the Spanish king, Carlos IV, had granted him the rare permission to explore the Spanish Latin American territories, Humboldt did not hold back in his condemnation of colonial rule, calling slavery ‘the greatest evil ever to have afflicted humanity’. During his expedition Humboldt went twice to Cuba where he remarked how ‘every drop of sugarcane juice cost blood and groans’. As much as he admired the United States for their concepts of liberty and equality, Humboldt never stopped criticizing their failure to abolish slavery. In 1856 an English translation of Political Essay on the Island of Cuba was published in the United States by a prosouthern, pro-slavery journalist – an unauthorized edition that left out Humboldt’s criticism of slavery. Unsurprisingly, Humboldt was furious. In response he issued a press release that was published in newspapers across the United States, denouncing the edition and declaring that the deleted sections were the most important in the book. In 1845 and much delayed, Humboldt published the first volume of Cosmos – the book that would make him famous across the world. It was an instant bestseller. First published in German, it was soon translated into many other languages. ‘Were the republic of letters to alter its constitution,’ one reviewer of Cosmos wrote, ‘and choose a sovereign, the intellectual sceptre would be offered to Alexander von Humboldt.’ In the history of publishing, the book’s popularity was ‘epoch making’, Humboldt’s German publisher announced. He had never seen so many orders. Cosmos was unlike any previous book about nature. Humboldt took his readers on a journey from outer space to earth, from botany to poetry and landscape painting, from microscopic organism to northern lights. He wrote of the migration of the human race, comets and geomagnetism. At a time when other scientists crawled into their ever-narrowing disciplines Humboldt wrote a book that did exactly the opposite. In Cosmos, Humboldt spoke of a ‘wonderful web of organic life’. In the second volume Humboldt wrote about human history from ancient civilizations to modern times. No scientific publication had ever attempted anything similar. He wrote about poetry, art and gardens, as well as about feelings and emotions. In his ‘survey’ of nature descriptions in literature, Humboldt gallops from ancient Greece to contemporary explorers, from Persian poetry to Dante and Shakespeare, as well as his chapter on landscape painting. In Cosmos Humboldt brought everything together, writing of the ‘deeply-seated bond which unites natural knowledge with poetry and with artistic feeling’. He believed that descriptions of nature by poets and artists were as truthful as the latest scientific discoveries. For me Humboldt is the link between the arts and the sciences; between the Enlightenment and the poetry of the Romantics. He connects Newton’s Opticks, which explained that rainbows were created by light refracting through raindrops, to poets such as John Keats, who declared that Newton ‘had destroyed all the Poetry of the rainbow, by reducing it to a prism’. Humboldt remains important for so many reasons. He gave us the concept of nature as a web of life and as a global force; he’s the forgotten father of environmentalism; he united the arts and the sciences; and he saw the earth as an interconnected whole. In short, he was ‘the wonderful Humboldt’, as Ralph Waldo Emerson wrote in his journal, who ‘with his extended centre & expanded wings, marches like an army, gathering all things as he goes’. Andrea Wulf was born in India, moved to Germany as a child, and now lives in England. She is the author of several acclaimed books including The Brother Gardeners and Founding Gardeners. 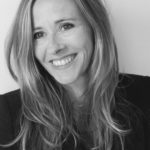 Andrea has written for the Guardian, LA Times and New York Times. She appears regularly on TV and radio.